STERN-DRIVE Application is on the webshop. New Spare Parts on the website! 3 new colour for our most selling steering System. New official website for 2016! After 4 years, we decided to change our old website. The new one is more modern, mobile friendly and straight forward. You can find all information easily! Nothing is hidden. We also upgraded our webshop. From today there are 2 ways to pay. The first is PayPal, and the second is Bank transfer. 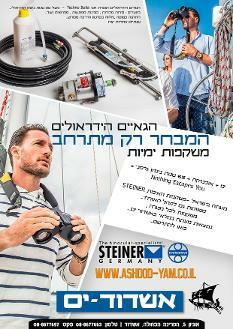 Now you can find Hydrodrive Hydraulic Steering systems also in Israel by Ashdod-Yam. Feedback from our new costumer from Malta! 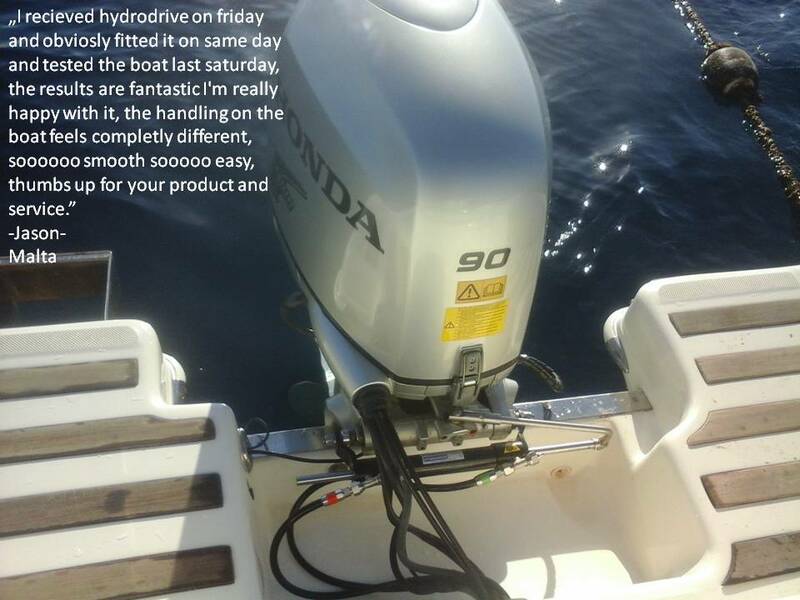 ,, I recieved hydrodrive on friday and obviosly fitted it on same day and tested the boat last saturday, the results are fantastic I'm really happy with it, the handling on the boat feels completely different, soooooo smooth sooooo easy, thubs up for your product and service." 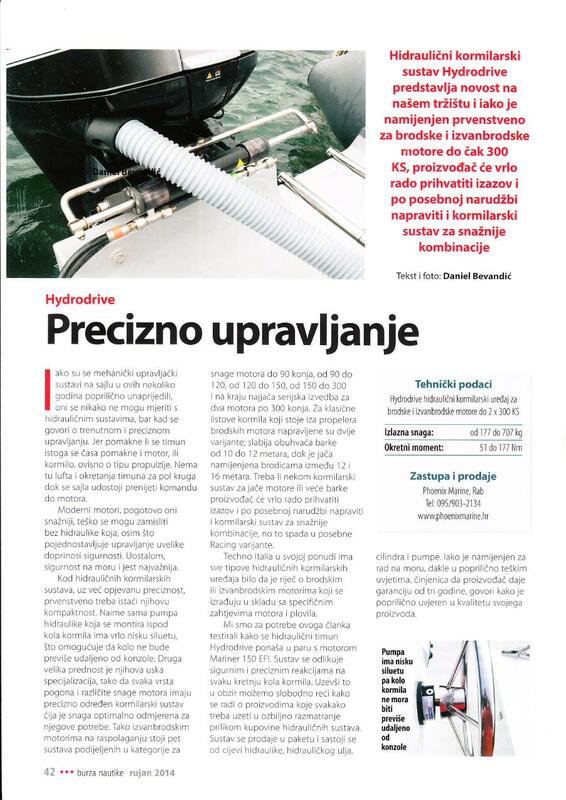 ,,PR article from Hungarian Sailing Association"
New era of easy steering Motorboats of the Hungarian Sailing Association are equipped with Techno Italia steering systems It is easy to write a PR-article driven by personal conviction. The Hungarian Sailing Association maintains a fleet with many small motorboats. I have a closer relationship with the boat called Sirály, which we take out on regattas to shoot photos and make videos. In the past years I had to be careful not to board the boat in a tight shirt to avoid tearing it on the back whilst steering. This short-bodied, naughty beast, with a 100-horsepower outboard wants to break out to the right, in spite of all the efforts of competent engine settings. Therefore it is a steady fight with the steering wheel to keep the proper direction. I had to use both hands even for minor turnings and had to pull left very hard to keep the boat straight. But since this spring these are all just nostalgic memories now. Techno Italia Ltd became a sponsor of the Hungarian Sailing Association and the boats –including Sirály- are now equipped with hydraulic steering systems. On the Season opening I went out for the first time with a boat equipped with the hydraulic steering. I could clearly feel the difference: the steering became easier even when still having to hold the steering wheel to pull to the left. Techno Italia Techno Italia Ltd. is a Hungarian company, which was founded by Luigi Gobbo, an Italian specialist who lives near the lake Velencei. After twenty years of experience in the aircraft industry, he created his own hydraulic boat steering system. Thanks to reliability and quality, and last but not least, thanks to the easy installation procedure, he has achieved considerable success in the nautical field. Every part of the steering system is self-production with strict quality control. Not only the manual assembly, but the use of quality materials guarantee reliability and long service life. The pump house is a hardened, hot-pressed aluminum base material, not die-cast aluminum or molded plastic. 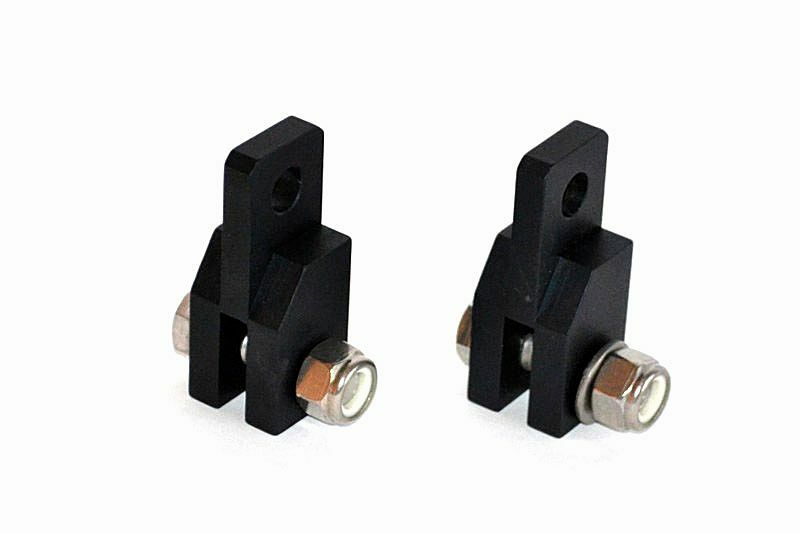 The thickness of 8mm and the special material from the aircraft industry prevent leakage or oil film/fog formation even under very high pressure. The 3 ball bearings in the pump ensure the outstanding precision and exceptionally smooth, consistent functioning. Each pump house is anodized and due to the surface treatment is resistant to the highly corrosive effects of sea. All parts are manufactured with high-precision CNC machines and go through quality control after each phase of production to ensure the highest quality. The cylinders are also made of cold drawn, hardened aluminum (also used in the aircraft industry) with high-precision CNC machines. The thick walled cylinder is made of a special raw material with even higher tensile strength than the traditional bronze therefore tolerates high working pressure. All the cylinders and parts are anodized and due to surface treatment are resistant to the highly corrosive effects of sea. The hydraulic pipes are specially manufactured twin-tubes with high-pressure resistance, and are equipped with custom-made stainless steel and nickel-plated couplings. 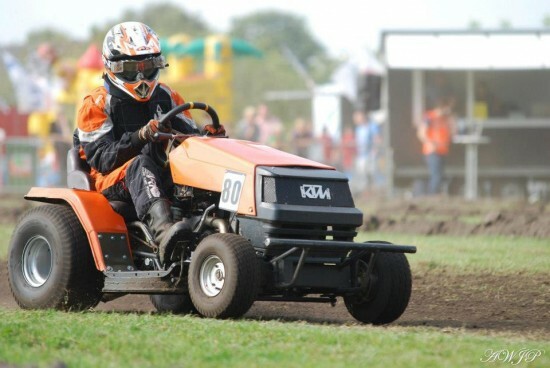 The pump converts the movement of the steering wheel into pressure which gets through the hydraulic hoses to the cylinder that runs the engine. There are 2 pump types: In addition to the standard model, the other type prevents backflow, so the steering does not 'spin back', and keeps the position where we have left it. Techno Italia Ltd. on Budapest BoatShow! 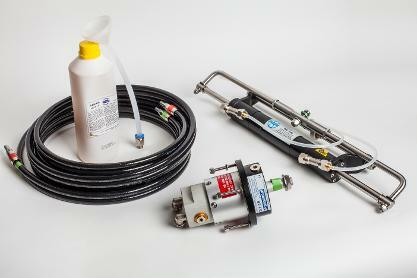 New innovative product: MF155W outboard hydraulic steering kit till 150HP. We make also special Hydraulic Steering system if our customer needs it.